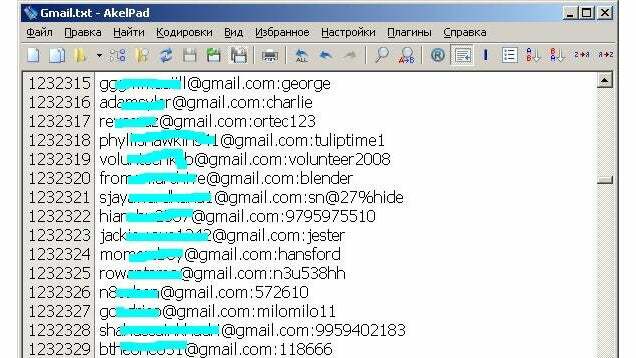 Russian hackers have leaked the email IDs and passwords of as many as 4.93 million Google accounts. The same Google account password is used across all Google products, such as Gmail, Drive, Plus, YouTube, Maps etc. After digging down into the thread I managed to download the complete list of users whose account passwords are hacked, remember this is just the list of users not their passwords. Though this list does not contain my user name but I found couple of emails I am familiar with, so though to share the complete list with the readers of my blog and friends. You can also query your email on the link here, to see if your Google account is present in the hackers database. I have uploaded the file here, if you find your username in this list then I suggest you to take necessary action to protect your account, as you might be aware that the same account is used across all your Google services like Gmail, Google Drive, You Tube, Android, etc.